The Intellectual Property and Technology Litigation Group advises clients on a broad range of intellectual property (IP) and technology issues confronting today's businesses. The Group combines trial experience with a background in handling complex intellectual property disputes, including those that raise competition law issues. The Firm's litigation work includes enforcing patents, trademarks and other IP rights and defending against claims of infringement. The Group skillfully and clearly communicates the most complex technical issues to judges and juries. Lawyers in the IP and Technology Litigation Group also have pre-eminent reputations in antitrust and international competition law issues, as well as substantial and successful trial experience. In addition to litigation and transactional work, the IP and Technology Group works closely with clients on IP strategy and day-to-day issues including assessing and formulating plans to address defensive IP risks, IP monetization opportunities, development of licensing programs, strategic portfolio acquisitions and divestitures, and open-source code issues. Audio MPEG, U.S. Philips Corporation, TDF SAS and IRT, which license MP3 patents, in patent infringement actions against HP and Dell Inc., which have sold unlicensed computers capable of playing MP3 audio files. 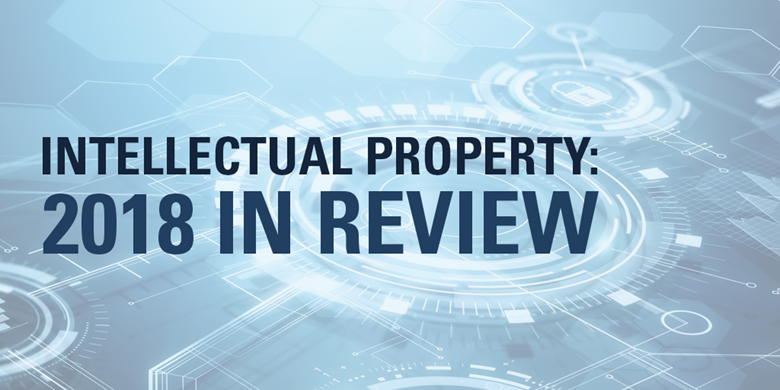 After settlement of the HP claims, Dell continued to litigate and filed multiple motions regarding patentability, equitable estoppel, willful infringement, Plaintiffs’ expert witnesses and many other topics – all of which the court denied. The court also ruled in favor of the patent owners on nearly every issue in dispute in a two-day claim construction hearing. Ultimately, the action settled on extremely favorable terms for the patent owners three days before trial. With this settlement, Dell becomes the last major PC manufacturer to enter into a license with Audio MPEG for the use of the patent owners’ standards-essential patent rights, joining a group of licensees that includes industry leaders such as Apple, Lenovo, Sony and HP. Blackberry Limited, in obtaining an $814.9 million award in a binding arbitration against Qualcomm Incorporated. The award represents royalty payments made to Qualcomm in excess of those required under Qualcomm’s royalty cap program. The dispute arose in 2015 following Qualcomm’s agreement to cap certain royalties applied to payments made by BlackBerry pursuant to a licensing deal. Blackberry argued that it was overpaying Qualcomm. After settlement discussions, the parties entered into a binding arbitration agreement. The award will help bolster BlackBerry’s plans to invest in the growth of its software business. As of May 25, the Panel award exceeded $940 million when interest and attorneys’ fees were added to the initial award. CA, in its successful action which included claims of copyright infringement and theft of trade secrets in the Eastern District of New York against Rocket Software. The Clearing House Payments Company, the operator of some of the country’s major payments systems, in a successful patent litigation in the U.S. District Court for the Eastern District of Texas brought by DataTreasury, asserting violation of patents involving electronic check imaging activities. Collective Brands (formerly Payless ShoeSource), in handling post-trial briefing, strategy and settlement negotiations in connection with a trademark infringement lawsuit brought by Adidas in the District of Oregon, as well as settling its dispute with another major footwear manufacturer. Cuozzo Speed Technologies LLC before the U.S. Supreme Court, challenging the U.S. Patent and Trademark Office’s implementation of the America Invents Act’s (AIA) new post-grand proceedings. Cuozzo was the first company to have its patent invalidated under the America Invests Act review standards. In opposing this ruling, the Court held that Cuozzo could not challenge the Patent Trial and Appeal Board’s actions. The case signals a balance between the federal court’s role in patent litigation and the Patent Trial and Appeal Board’s administrative role in patent challenges in the new era of the AIA. Dolby International, the Swedish subsidiary of Dolby Laboratories, in a successful patent infringement action brought against Research in Motion, the maker of the Blackberry smartphone, regarding patents covering an advanced method of audio compression. DVD6C, in its recent intellectual property dispute with World Media Group (WMG). S&C represented four DVD6C members (Mitsubishi Electric, Panasonic, SANYO Electric and Warner Bros. Home Entertainment) in their patent infringement action against WMG in the U.S. District Court for the Northern District of Texas. The action involved eight U.S. patents relating to DVD-ROM and DVD-Video Disc technology. The settlement was reached and WMG agreed to enter into a patent license agreement with DVD6c and pay damages for its past infringement. Dyson, in achieving a favorable settlement following summary judgment briefing and court-ordered mediation in a litigation brought by BISSELL Homecare against Dyson in the Western District of Michigan related to patents covering cyclonic vacuum cleaner technology. Dyson, in obtaining dismissal on summary judgment of a patent infringement claim brought by Oreck against Dyson in the Eastern District of Louisiana. After eliminating the patent claim, Dyson and Oreck settled the remaining false advertising claims. Dyson, in a patent infringement action in which the U.S. Court of Appeals for the Federal Circuit affirmed a district court’s decision granting Dyson’s motion for summary judgment, holding that Dyson did not infringe a vacuum cleaner patent for which an inventor sought substantial damages. Dyson, in achieving a favorable settlement following a five-day patent infringement trial against Hoover in the District of Delaware. Eisai, in a patent infringement action to protect Eisai’s patent on a lucrative anti-ulcer drug against a generic manufacturer. The Southern District of New York granted one motion for summary judgment in favor of Eisai and another in part. Following a bench trial, the court entered judgment for Eisai on validity and infringement. Ferrosan, a Danish manufacturer of hemostatic devices that are sold by a Johnson & Johnson subsidiary, in a patent infringement case before the U.S. International Trade Commission. After trial, during which S&C cross-examined the claimant’s expert witnesses and others, Ferrosan settled the matter for approximately the cost of further litigation. Financial Accounting Standards Board—the principal private sector organization for establishing financial accounting standards in the United States—and its governing body, in an action brought by Silicon Economics (SEI) relating to SEI’s patented method of financial accounting. Fonar, in protecting, on appeal to the U.S. Court of Appeals for the Second Circuit, Fonar’s copyright in its MRI scanner maintenance software. General Electric, LG Electronics, Mitsubishi Electric, Samsung Electronics, Thomson Licensing, the Trustees of Columbia University in the City of New York, U.S. Philips and Victor Co. of Japan, in an action filed in the U.S. District Court for the Southern District of New York against Hong Kong-based Lenovo Group and its U.S. subsidiary, Lenovo (United States) for willfully infringing the plaintiffs’ patents that are essential to the MPEG-2 digital video compression standard. The action was favorably settled. IntercontinentalExchange, in successfully defending an intellectual property action brought by the New York Mercantile Exchange alleging copyright infringement and violation of federal trademark laws. The U.S. District Court for the Southern District of New York issued a decision granting summary judgment in favor of S&C client IntercontinentalExchange, Inc. The "merger doctrine" of copyright law was applied in holding that individual settlement prices are not copyrightable because the idea of a settlement price can only be expressed as a numerical value. The court also held that settlement prices constitute "short phrases" for which the Copyright Office has denied copyright protection. The court rejected NYMEX's trademark claim as well, holding that ICE's reference to NYMEX trademarks was a descriptive fair use of those marks that was not likely to cause any customer confusion. J.P. Boden, in defending infringement claims brought by a nonpracticing entity, based on a patent claiming a method of tracking package deliveries. The plaintiff voluntarily dismissed the claims with prejudice. j2 Global Communications, in asserting Lanham Act trademark infringement, patent infringement and false advertising claims in the U.S. District Court for the Central District of California. Labatt Brewing Company, in infringement claims it brought against Molson and Miller based on Labatt’s patented method for brewing “ice” beer. Following several weeks of trial, Labatt obtained a favorable settlement. Micro Systems Engineering (MSEI), in a successful a trial victory against Universal Instruments Corp. in a case alleging copyright, trade secret and contractual claims. Following a six-day jury trial, the court granted MSEI’s motion for judgment as a matter of law. MPEG-LA, a patent pool administrator, in various successful patent actions. The Am Law Litigation Daily named the partner in charge of MPEG-LA “Litigator of the Week” in 2010 for his successful role in its settlement during trial of an action pertaining to its MPEG-2 patent portfolio licensing program. MPEG-2 and ATSC patent owners, in an action that was among the first patent infringement cases in the United States concerning the technology for digital television mandated by Congress. The Firm also successfully advised multiple patent owners in various patent infringement actions brought in Germany involving MPEG-2 digital video compression patents. Norelco, in an action against Remington involving Remington's advertising campaign for its “Titanium” product. On behalf of Norelco, S&C obtained a temporary restraining order and a preliminary injunction against Remington. Novo Nordisk AS and Novo Nordisk Inc., in an International Trade Commission investigation commenced by Baxter Healthcare concerning seeking the exclusion of Novo Nordisk’s product Novoeight®, a drug that is used to treat hemophilia A. Baxter, which sells two other hemophilia A drugs, alleges that the manufacturing process used by Novo Nordisk to produce Novoeight® in Denmark infringes three of its patents on the production of recombinant proteins through the use of mammalian cell culturing. Novo Nordisk, in successfully obtaining a dismissal in two consolidated patent infringement actions brought by Novo’s competitor Sanofi-Aventis, as well as a highly favorable settlement in a separate patent infringement action brought by Novo against Sanofi-Aventis. Novo Nordisk, in a decision denying a preliminary injunction motion made by Sanofi-Aventis. The court rejected every claim in Sanofi-Aventis’s motion alleging Novo made false statements under the Lanham Act. Philips, in achieving pretrial results in connection with the assertion of patents related to recordable compact discs. The district court found Philips’ patents to be infringed, dismissed defendants’ affirmative defenses and counterclaims, including an antitrust counterclaim seeking damages of approximately $1 billion. On the morning of the trial scheduled to determine damages to be paid to Philips, defendants agreed to pay substantial royalties to Philips. Philips, in obtaining a highly favorable settlement with Imation and Moser Baer in connection with patent infringement and tortious interference claims and counterclaims filed by Philips related to optical media products, including recordable and rewritable CDs and DVDs. In addition, S&C has obtained repeated victories on behalf of Philips in various IP litigation matters, including favorable settlement of patent infringement suits related to commercial dealings with Lighting Science Group in multiple venues, patent infringement lawsuits involving a universal remote control patent, and an International Trade Commission investigation surrounding patents related to its recordable and rewritable compact disc technology. Philips Media, in an action brought by Tom Cruise involving violations of the Lanham Act, right to privacy and unauthorized use of likeness in a television commercial. Security Mutual Life Insurance Company of New York and Archway Technology Services, in the coordination of posttrial proceedings and the potential appeal of an adverse jury verdict in a trade secret misappropriation suit brought by Member Services (S&C was retained on this matter after the trial concluded). Sony, Philips, Columbia University, Mitsubishi, Matsushita and others, in a successful trial in German district court in December 2006 in which S&C acted as “instructing” counsel. The court found that the defendant, a manufacturer of DVDs, had infringed the patents-in-suit, and it dismissed the defendant’s antitrust claims. Stryker Corporation, a Fortune 500 medical technologies firm, before the Supreme Court in a case that addressed the standard to be used for awarding enhanced damages in patent infringement actions. The case arose from the lower court’s finding that Zimmer Biomet Holdings Inc. infringed Stryker’s patented invention. The lower court trebled Stryker’s damages due to the flagrancy and scope of Zimmer’s infringement. Although the U.S. Court of Appeals for the Federal Circuit upheld the jury’s liability ruling, it vacated the increase in damages. S&C persuaded the Supreme Court to set aside the Federal Circuit’s strict standard as “unduly rigid.” By striking down the standard used by the Federal Circuit, the holding provides greater discretion to district judges in determining when enhanced damages are appropriate. The Supreme Court also held that patent holders need only establish the appropriateness of enhanced damages by a “preponderance of the evidence” rather than “clear and convincing evidence.” Lastly, the Court held that the Federal Circuit should review district courts’ enhancement decisions for abuse of discretion. U.S. Philips Corporation, Orange, S.A., TDF SAS, and Institut Fur Rundfunktechnik, GmBH, S&C defeated three petitions filed before the U.S. Patent Trial and Appeal Board seeking inter parts review of patents related to the MP3 technology. VeriFone Holdings, in defending false advertising claims brought by Heartland Payment Systems. S&C successfully obtained denial of a motion for preliminary injunction sought by Heartland. The Court determined that Heartland had failed to demonstrate either a likelihood of success on the merits on its federal Lanham Act claims or a threat of irreparable harm. In March 2011, all of the litigation between VeriFone and Heartland was settled.